Same with Columbus Day in the U.S. Instead of celebratory, it is a day of mourning in the U.S. for native people and their descendants. As in Australia, some would opine, native people should "just get over it." Even if we're not fully aware of how the conquest and subsequent colonization has impacted us, or continues to impact us, such views are not only mean-spirited, but they thwart the spirit of reconciliation that would optimally replace them—and not just for the oppressed, but for the oppressors themselves. A legacy of violent dispossession begets current, existing harmful legacies and agendas of violent dispossession. We collectively have so much to learn and gain from reconciliation and reparations. By now, I'm sure you've heard about the executive order on immigration and refugees that the President signed on Friday. It bans Syrian refugees from entering our country, suspends the entire refugee program for 120 days, cuts in half the number of refugees we can admit, and halts all travel from certain Muslim-majority countries. This is a cruel measure that represents a stark departure from America's core values. We have a proud tradition of sheltering those fleeing violence and persecution, and have always been the world leader in refugee resettlement. As a refugee myself who fled the communist takeover of Czechoslovakia, I personally benefited from this country's generosity and its tradition of openness. This order would end that tradition, and discriminate against those fleeing a brutal civil war in Syria. 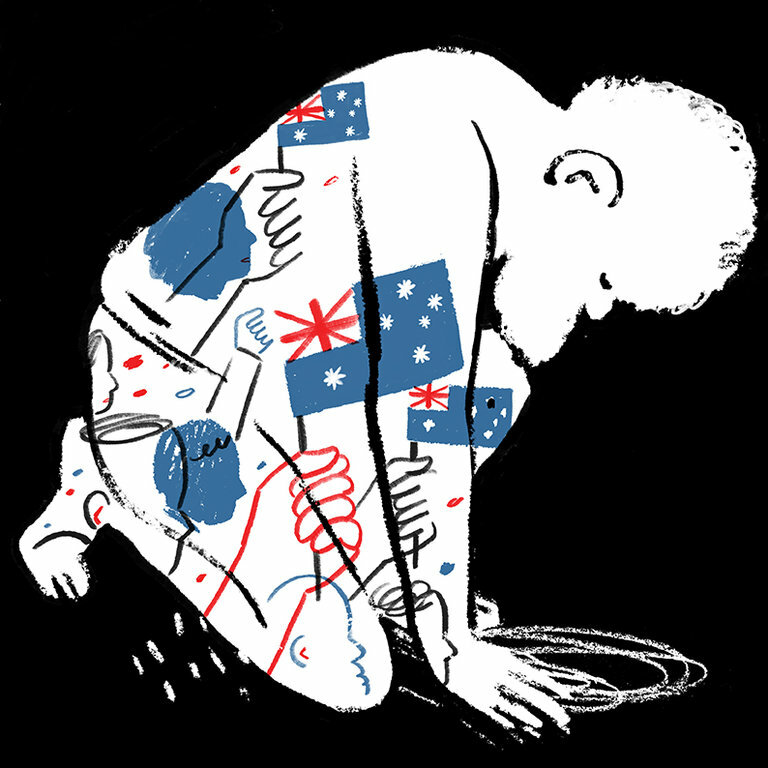 There is no data to support the idea that refugees pose a threat. This policy is based on fear, not facts. The refugee vetting process is robust and thorough. It already consists of over 20 steps, ensuring that refugees are vetted more intensively than any other category of traveler. The process typically takes 18-24 months, and is conducted while they are still overseas. I am concerned that this order's attempts at "extreme vetting" will effectively halt our ability to accept anyone at all. When the administration makes wild claims about Syrian refugees pouring over our borders, they are relying on alternative facts -- or as I like to call it, fiction. The truth is that America can simultaneously protect the security of our borders and our citizens and maintain our country's long tradition of welcoming those who have nowhere else to turn. These goals are not mutually exclusive. Indeed, they are the obligation of a country built by immigrants. Refugees should not be viewed as a burden or as potential terrorists. They have already made great contributions to our national life. Syrian refugees are learning English, getting good jobs, buying homes, and starting businesses. In other words, they are doing what other generations of refugees -- including my own -- did. And I have no doubt that, if given the opportunity, they will become an essential part of our American fabric. By targeting Muslim-majority countries for immigration bans and by expressing a clear preference for refugees who are religious minorities, there's no question this order is biased against Muslims. And when one faith is targeted, it puts us all at risk. I will never forget sailing into New York Harbor for the first time and seeing the Statue of Liberty when I came here as a child. It proclaims "give me your tired, your poor, your huddled masses yearning to breathe free." There is no fine print on the Statue of Liberty, and today she is weeping. This executive order does not reflect American values. If you agree, make your voice heard now. 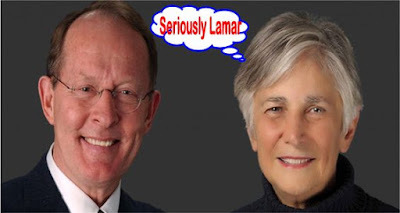 Here's an Open Letter by Diane Ravitch to Lamar Alexander that's worth reading. Among other things, she provides information on Michigan where multi-millionaire, school choice advocate Betsy DeVos is from that reveal the ruins left by the charterization and privatization agenda. In 2003, Michigan ranked 27th in fourth- grade math; by 2015, it had declined to 42nd among the states. Michigan has hundreds of charter schools. About 80% of them are run by for-profit operators. The Detroit Free Press conducted a one-year review of the charter sector and concluded it was a $1 billion a year industry that operated without accountability or transparency and that did not produce better results than public schools. Last year, when the legislature tried to develop accountability standards for the charter industry, Ms. DeVos successfully lobbied to block the legislation. I hope Lamar Alexander pays attention to this. I hope you don’t mind my taking the liberty of writing you a public letter. The main lesson of the book for me is that you should be honest with people. You shouldn’t bore them. You shouldn’t lecture them or try to impress them. You should get to know them, listen to them, respect their concerns, and try to understand their problems. Rule 168 says, “Read whatever Diane Ravitch writes about education.” It doesn’t say that anyone should agree with what I write, it just says you should read it. So I am writing you this letter in hopes that you will read it and that I can persuade you to do the right thing. When I worked for you in the early 1990s in the Department of Education, I absorbed important lessons about character and ethics in public life. You were a model of dignity, integrity, and respect for others. You never raised your voice. You smiled and laughed often. You were always well informed. You picked the best person for whatever job was open. Now you are in the position of selecting a new Secretary of Education. I watched the hearings, and it was evident to all but the most extreme partisans that Ms. DeVos is uninformed, unqualified, unprepared, and unfit for the responsibility of running this important agency. When asked direct questions about important federal issues, she was noncommittal or evasive or displayed her ignorance. She thinks compliance with the Individuals with Disabilities Act–which protects children with disabilities– should be left up to the states; she does not know it is a federal law and is not optional. When asked about higher education, she was stumped. She was unfamiliar with the basic terminology of education issues. Her lack of experience leaves her ill-equipped to address the needs of the vast majority of America’s schools. I understand that she doesn’t like public schools and much prefers religious schools and privately managed charter schools, including those that operate for-profit. Frankly, it is unprecedented for a Secretary of Education to disapprove of public schools. At least eighty-five percent of American school children attend public schools. She has no ideas about how to improve public schools. Her only idea is that students should leave them and enroll in nonpublic schools. She would be the first Secretary of Education in our history to be hostile to public education. I have written extensively about the history of public education and how important it is to our democracy. It seems strange to return to the early 19th century, when children attended religious schools, charity schools, charter schools, were home-schooled, or had no education at all. This is not “reform.” This is backsliding. This is wiping out nearly two centuries of hard-won progress towards public schools that enroll boys and girls, children of all races and cultures, children with disabilities, and children who are learning English. We have been struggling to attain equality of educational opportunity; we are still far from it. 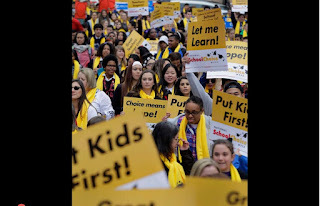 School choice promotes segregation and would take us further away from our national goal. Since Michigan embraced the DeVos family’s ideas about choice, Michigan has steadily declined on the National Assessment of Educational Progress. In 2003, Michigan ranked 28th among the states in fourth-grade reading; the latest results, in 2015, showed that Michigan had dropped to 41st. Detroit is awash in charters and few of them perform as well as the public schools. Detroit is the lowest rated urban district in the nation on the NAEP. The proliferation of choice and charters has not improved education in that city. As I am sure you are aware, Tenneesee’s “Achievement School District” has been an abject failure. The state’s lowest performing schools were taken over and given to charter operators. The leaders of the ASD claimed that these low performing schools would go from the bottom 5% in the state to the top 20% in five years. That was five years ago. Not one of the promises was kept. The schools are still among the lowest performing in Tennessee. There are actually research-based approaches that would have helped the children and the schools, like reducing class size and providing medical services. Charters are not a research-based reform. As for vouchers, there have been many state referenda over the past 20 years, and the voters have rejected them every time, by large margins. When Ms. DeVos and her husband Richard led a movement to change the Michigan state constitution to permit vouchers for religious schools in the year 2000, the referendum was defeated by 69-31%. Even in deep red Utah, the public rejected vouchers overwhelmingly in 2007. Florida was the last state to reject vouchers, in a 2012 vote deceptively named the Religious Freedom Act; voters rejected it by 58-42%. Time and again, the American public has said that they don’t want public money to be spent to pay tuition for religious schools. That is the responsibility of the family, not the state. There is ample evidence about vouchers, which have been imposed by legislatures, not by popular vote. Milwaukee, Cleveland, and the District of Columbia offer vouchers, and these districts are among the lowest performing in the nation on national tests. Milwaukee and Cleveland have had vouchers for more than 20 years, and neither district has seen any improvement in its public schools, nor do the voucher schools outperform the public schools. When the taxpayers’ precious dollars are divided among two or three sectors, none of them flourishes. I feel sure that you do not want your legacy to be that you aided in destroying the historic institution of universal public education in the United States. Every dollar that goes to a charter school or to vouchers is taken away from the budget of the community’s public schools. In a regime of free-market choice, public schools, which educate the great majority of students, will have larger classes and fewer programs, services, and electives, all in the name of a failed concept called “choice.” I need not remind you that the origin of school choice was the sustained effort by racist governors and legislatures to preserve racial segregation in the South; the term was tainted by its origins for many years, but the effect remains the same: School choice will exacerbate racial, religious, and socioeconomic segregation without improving education. The Every Student Succeeds Act, which you worked so hard to produce in a bipartisan spirit, goes a long way towards devolving control of education to states. I, of course, would have liked to see the elimination of the federal mandate for annual testing, which has proven to be ineffective for 15 years. But the best way to enable ESSA to work is to appoint a Secretary of Education who comes to the job with knowledge, experience, a strong devotion to civil rights and equality of educational opportunity, and a commitment to let districts and states nurture better ideas than those mandated by Washington. *I posted this column yesterday at the Huffington Post in a slightly abridged form (I edit and revise constantly). Much to my surprise, the comments were remarkably positive. People are truly aware that Ms. DeVos is ill-suited for this job. Excellent compilation from Rethinking Schools on the role of teacher unions. Bob Peterson, in particular, has written extensively and cogently on this. 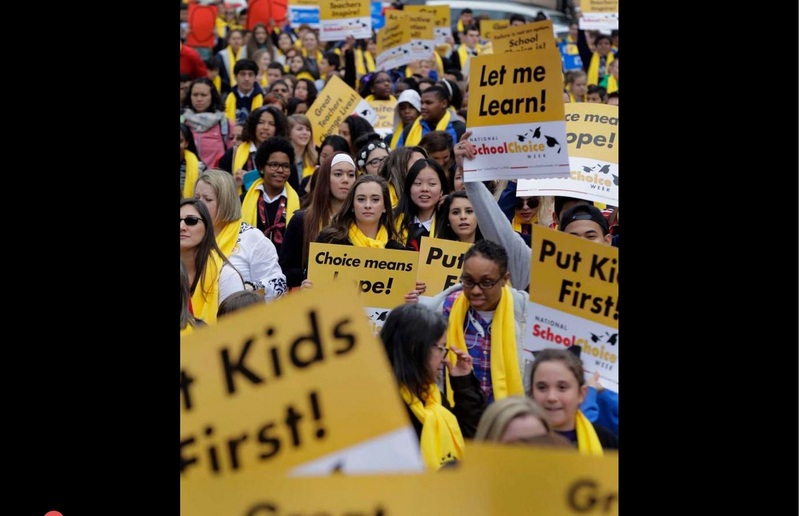 Rethinking Schools Online presents a special collection of articles on one of the most critical issues facing public education today: the role of teacher unions. Also see The New Teacher Book, a handbook ideally suited for new teachers, perhaps the only book for new teachers that addresses important issues of race, class, testing, and teacher unions. Teacher unions and school districts have found The New Teacher Book especially useful for new teacher orientation and inservices. For more info click the title. Letters about "Which Side Are You On?" Readers respond. Letters about "The New Vision of Teacher Unionism" Readers respond to the above article. TURN (Teacher Union Reform Network) is a union-led effort to restructure the nation's teachers' unions to promote reforms that will ultimately lead to better learning and higher achievement for America's children. British Colombia Teachers Federation, a progressive teacher union that has a long history of militant trade unionism and social justice activism. Education International, the federation of organizations representing over 30 million teachers and other education workers, through 384 member organizations in 169 countries and territories. As the Global Union representing education workers worldwide, Education International unifies all teachers and education workers. Be it a remote village or a cosmopolitan city, Education International promotes the rights of every teacher wherever they are, and the rights of every student they educate. Education International is the voice of education workers worldwide. The New South Wales Teachers Federation has a long history of militancy and advocacy for social justice. The concerning report mentioned here is titled, "Why Investing in Education Fuels the Texas Economy." Those involved in this conversation in Texas need to address, as well, the sociocultural (e.g., language, how to teach to the ELL population and otherwise culturally diverse student populiations) and sociopolitical dynamics (the political aspects of schooling, including harmful laws, policies, and practices that reflect these) that inform minorities' progress in schools or lack thereof. I hope that lawmakers heed the warning of this report as matters are indeed critical and deteriorating from a school funding perspective. SAISD Superintendent Pedro Martinez walks down the halls of the Young Men's Leadership Academy. Advocates for education reform might finally be speaking the language of the Texas Legislature: economics. According to a new white paper released by a group of independent business leaders and academic researchers, Texas’ current education funding crisis will jeopardize the state’s economy unless comprehensive reforms are put in place. The business leaders behind the report titled Why Investing in Education Fuels the Texas Economy claim that the state’s economic future depends upon fixing a broken and underfunded public school system. John Gonzalez, founder of JDG Associates Inc. The group, which has been operating under the name Educate Fir$t, is a collaboration of independent entrepreneurs, business owners, academics, and educators. The business leaders became interested in education when they began to notice serious skill and knowledge gaps in new hires. “The lack of qualified personnel is a great concern to us [as business leaders],” Alamo Travel Group President Patricia Stout said. “We don’t have the workforce to attract certain companies” to Texas. Stout served as advisor to the report, along with Matt Diana, CEO of Boerne-based Covenant Strategies Inc., and Terri L. Williams, director of the University of Texas at San Antonio’s SBDC Procurement Technical Assistance Center (PTAC). María “Cuca” Robledo Montecel and David Hinojosa with the Intercultural Development Research Association (IDRA) served as special advisors. All served on a volunteer basis, and the collaboration has yet to apply for any grants or funding. The costs associated with the report were funded through member contributions. Educate Fir$t hopes that the report will be eye-opening for the business community and that its members will be moved to speak up. Because of the Legislature’s business-friendly posture, the group may succeed where others have failed, Gonzalez said. Educate Fir$t is calling on Texas’ 54 Fortune 500 companies and other influential businesses to speak up for education in hopes that money will indeed talk. “This is not a partisan issue,” Diana said. He said that rather than education being seen as the bedrock of growth in every sector, some in the Legislature treat it like a special interest or partisan cause. The report demonstrates that economic growth is intimately tied to education. In a way, all revenue flowing to the capital and back to taxpayers in the form of infrastructure, tax cuts, and incentives are essentially the dividends of educational investment. “We believe that alerting the business community about what [is] potentially in store for their bottom line is the last best chance to bring about the kind of changes that are necessary,” Gonzalez said. While the group is sympathetic to the competing demands on legislators, they hope to reframe the conversation. Alamo Travel Group President Patricia Stout speaks at the 86th annual San Antonio Hispanic Chamber of Commerce gala. “While it is true that our state has many needs, the main emphasis of this paper is to illustrate how much is at stake for the business community of Texas if we continue to undereducate our children and ill-prepare them for rewarding careers that allow them to properly contribute to both the state and nation’s economy,” the report reads. As business owners from typically conservative small towns, the members of Education Fir$t represent a different type of education advocacy group. Diana wants to call attention to the need for proponents of the three main agendas in education reform – property tax recapture, charter schools, and finance reform – to come together to find a solution. This business-centric approach has caught the attention of conservative lawmakers. State Sen. Donna Campbell (R-25) of New Braunfels and U.S. Rep. Lamar Smith (R-21) have both expressed interest in the report’s findings, and Texas Economic Development Council CEO Carlton Schwab has endorsed the findings, Diana said. Matt Diana, CEO of Covenant Strategies Inc. The report’s findings, which analyze current and projected demographic data, tell of a growing minority and economically disadvantaged population that will make up the workforce of coming decades. While CNBC recently ranked Texas 2nd for business and economic climate and 8th in overall workforce, the report focuses on the lack of sustainability of these standings without an educated workforce. That same CNBC report ranks Texas 37th for quality of life and 40th for education. According to the report, the current booming economy is not benefitting everyone. Between 2008-2018 Texas will have produced 1.8 million jobs that require post-secondary degrees, but not the workforce to fill them. Importing talent at that level while the low-wage workforce falls further behind is not a sustainable model. “The fact of the matter is that businesses must recognize that remaining profitable will, to a large extent, depend on what is happening in the classrooms at all levels. A quality education determines the quality of a future workforce and the eventual success of a company. The importance of human capital cannot be over-emphasized,” the report states. The gap between education and jobs weakens the middle class, the report states, and people in low-wage jobs don’t have the disposable income to sustain a consumer economy. “If the middle class is already struggling, adding more undereducated and low-paid workers to the pool will not improve matters. A lack of disposable income severely limits an individual’s ability to purchase products or services other than basic necessities, and families will likely defer or be unable to acquire many large purchases that drive our local tax base, such as homes,” according to the report. What is a problem for Texas – currently ranked 5th for economic disparity – will also be a problem for the nation, the report states. Meanwhile, growth in the state’s population of children is far outpacing the rest of the country. “Between 2000 and 2014, nearly 90% of child growth in the United States came from Texas. To put that in perspective, the number of children in Texas increased more than 1.2 million, while the country itself had an overall growth of 1.4 million children. The state currently has the second largest population of children, with 7.1 million,” the report states. If that population boom consists of poorly educated – and thus low-wage earning – children, the workforce of the entire country could suffer. “Unfortunately, if current educational trends continue, especially for economically disadvantaged and minority populations, many of these children could end up undereducated and a potential liability for the state, the nation, and the economy,” the report states. The groups considers the paper a call to action rather than a criticism of the state. “It’s not just about funding. It’s about taking a long, hard look at what we are doing,” Gonzalez said. In addition to properly funding schools, the group advocates a holistic focus on workforce development even in early childhood education. “Workforce training should start as early as pre-K,” Gonzalez said. At that level, it might be as simple as asking children, “What do you want to be when you grow up?” From there the discussion moves on to ambition, character, and goals, Diana said. How to enhance and refocus curriculum, engage parents, and develop “soft skills” for students continues to be the subject of robust discussion. Financing education, however, is the group’s biggest emphasis. By putting the white paper into the hands of lawmakers at the beginning of the biennium, they hope to spur support for legislation aimed at significant changes in the school finance system. Bekah is a native San Antonian. She is a frequent contributor to The Rivard Report. You can also find her at her blog, FreeBekah.com, on Twitter @BekahMcneel, and on Instagram @wanderbekah.